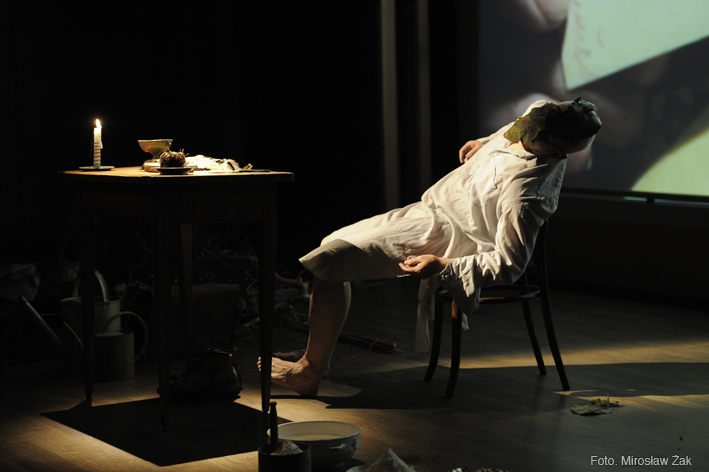 Miloš Šejn's solo performance installation is a part of the First International Art-Academic Project Towards The Image. The construct of "Towards The Image” remains a delicate reference to the title of Marcel Proust’s novel “Swann’s Way” as a metaphor of the fluid boundary between the present and the past. So, is your mother a landscape or a face? … (Godard.) All faces envelop an unknown, unexplored landscape; all landscapes are populated by a loved or dreamed-of face, develop a face to come or already past.